Take a peek inside one of London’s most stylish wardrobes and learn all about inspiring Whitney Bromberg Hawkings, founder of high-end flower delivery service FLOWERBX which has just launched in Germany. 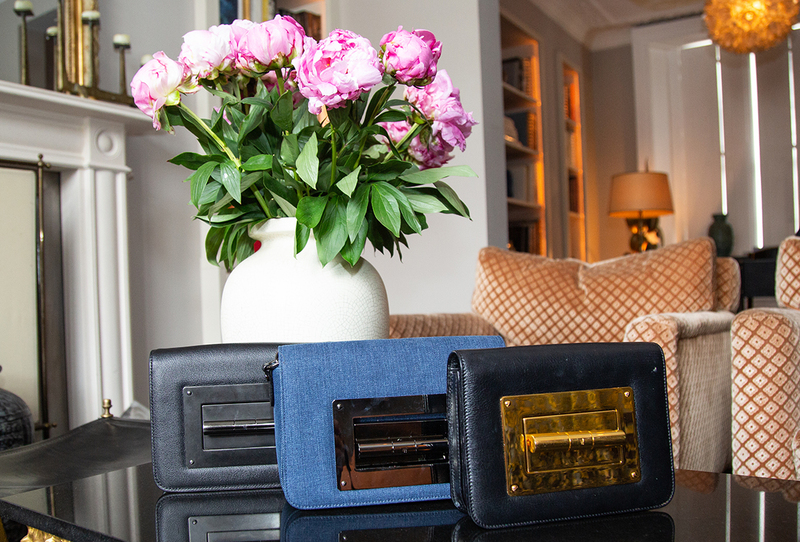 We met the entrepreneur for a wardrobe detox with our London Personal Concierge service. When I was a teenager, I dreamt of moving from Dallas to France and becoming the editor of French Vogue. Alas, when I moved to Paris after graduating from University, Vogue wasn't hiring! It was the luckiest misfortune I could have asked for as, instead, I got my first job as Tom Ford's assistant at Gucci. This fateful job offer led me to a two decade love affair with Tom, introduced me to my husband, Peter, and ultimately created the impetus to launch my own company. Why did you decide to go into the flower business? After working for TOM FORD for 19 years and feeling frustrated with the cost and inconsistency of the flowers I was buying and sending, I wanted to create a branded floral offering. Also, as a working Mom, I buy everything online: my weekly groceries, my clothes and everything else. Flowers were the one thing I couldn't buy, in a simple, chic way, online. I started FLOWERBX a little over two years ago and am happy that it has resonated with so many people, so quickly and that the growth has been so significant. How can we picture a day at work for you? There is certainly no typical day in a start up! That said, I try to start my mornings early in the warehouse as there are inevitably lots of fires to put out before the work day starts. Whether it’s with roses that have come in too pink or peonies that haven’t opened enough for an event, flowers are a volatile business! Then I try to structure my day so I can spend afternoons in town, meeting with clients and visiting venues for events. I feel like the luckiest woman on the planet to wake up in the morning and work with flowers. My company is imbued with this love and passion, and my hope is that this enthusiasm is conveyed in everything that we do. What’s your advice to female entrepreneurs? I would say, the toughest part was deciding to go for it! So my first bit of advice would be “JUST DO IT.” That said, I think it is crucial to get support from other women. If you are looking to raise outside capital, look for female investors. Seek out the sisterhood! How has your style changed since starting your own business? Any tips on getting dressed in the morning? I had this fantasy that I would live in jeans and trainers for my early mornings at the warehouse, but the reality is that I spend half of the day meeting with our high-end luxury clients and need to represent FLOWERBX in the right way. So, while I wear fewer pencil skirts, slightly lower heels and more tailored trousers, I wouldn’t say my style has changed all that much since my time at Gucci/TOM FORD. Luckily, with sites like Rebelle, there is less guilt as you make it so painless and fashionable to recycle one s wardrobe. I need to be able to go from our warehouse to lunch with a client on any given day, so my outfit must be versatile. I am most often in a pair of black Mother jeans, an Equipment blouse or and ATM T-shirt and a tailored TOM FORD blazer with a strong shoulder and a fitted waist, and a pair of Gucci loafers (with a pair of Gianvito Rossi stilettos in my bag) - old habits die hard. What’s one of your fashion secrets that you are willing to share with us? I buy the best T-shirts from Hanes. Bleached blonde ringlets, teased bangs and too much hair spray in the late 80s. Tell us about your wardrobe: How do you edit? One of the greatest things I learned from working with Tom is the importance of EDITING, so I am quite shameless when it comes to getting rid of things I haven’t worn in a year. Luckily, with sites like Rebelle, there is less guilt as you make it so painless and fashionable to recycle one’s wardrobe. Gucci peep toe heels that were a gift from my grandmother when I was at University. You’re a mother of 3. What fashion advice will you pass on to your children? I hope that I can convey to my children the power of fashion to build confidence and to make one feel like one’s best self. I also hope I can pass on my love of fashion and encourage my kids to experiment with fashion to form their own identities and ultimately, define their own personal style. Lastly, I hope that I can teach them the importance and value of buying quality clothing that is made with love and care, and I think that sites like Rebelle make this a cost effective option as well. The Chanel silk top and skirt has so many happy memories. It was a gift from my then fiancé, Peter, on my 28th birthday. It was on this birthday that I learned the power of a Chanel outfit. I felt so chic and French when I wore this, and it reminds me of the time my husband and I were falling in love with each other.